As well as achieving a string of top grades at A-level, Toby Hillery has earned national recognition for his outstanding performance in one of his subjects. 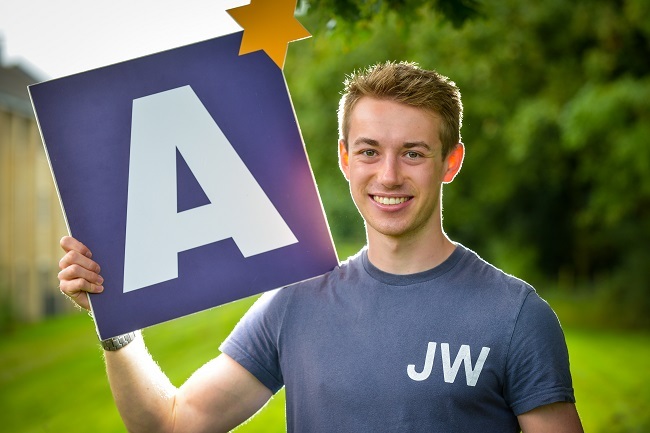 Toby sat his A-levels at The Grammar School at Leeds (GSAL) this summer, and scooped four A* grades, in computing, maths, further maths and physics. He subsequently learned that his performance in computing had placed him in the top 50 candidates in England who sat computing A-level through the AQA exam board. Having got to grips with programming early in his school career, thanks to joining the software engineering club in Year 7, Toby feels that he had a head start with his computing GCSE and A-level that will stand him in good stead in future. Now going on to study general engineering at Durham University, Toby said: “What makes programming so powerful is its versatility: it can be applied to any scenario, and therefore any job. Since I am studying engineering, it will definitely be prevalent throughout the course. Toby and the other top 50 computing candidates receive a prize of a top of the range Targus laptop rucksack, provided by internet services company Netcraft. The company is inviting all prize winners to a presentation event in Bath.